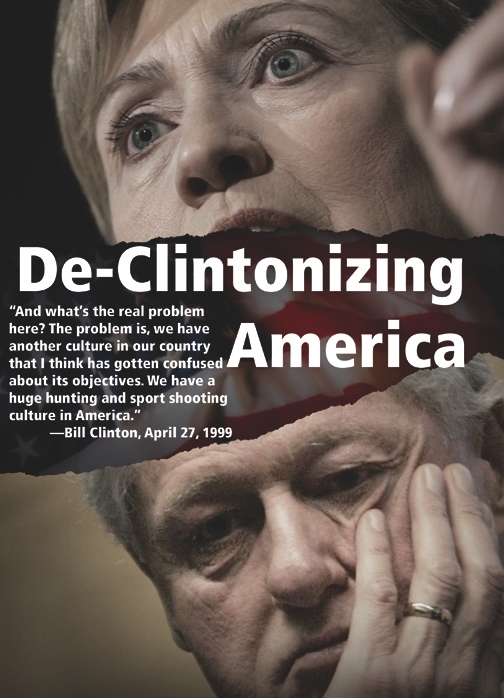 Thanks to your votes and grassroots efforts, efforts, pro-Second Amendment majorities in Congress have ripped out most of Bill Clinton`s anti-gun legacy. Now, however, anti-gun forces are working to take over control of the Senate and House in November. There`s no better way to figure out where you need to go than to look at where you`ve been. As the 2006 elections approach, it`s worth looking back at where the Second Amendment stood just a few years ago. The year was 1998. Bill and Hillary Clinton were in the White House. Al Gore was vice president. Janet Reno was attorney general. Consequently, the Right to Keep and Bear Arms was under unrelenting attack. Lawsuits | Starting in 1998, dozens of cities sued the firearms industry, trying to blame gun makers for the acts of violent criminals. Eager to help the big-city politicians and greedy trial lawyers, the Clinton administration unleashed then-Secretary of Housing and Urban Development Andrew Cuomo, who loudly threatened to throw the federal government`s weight behind the suits. Several of those lawsuits have now been dismissed under the Protection of Lawful Commerce in Arms Act, championed by Sen. Larry Craig, R-Idaho, and Rep. Cliff Stearns, R-Fla., and signed into law in October 2005. Others have been dismissed in state courts under longstanding common law principles or even withdrawn by plaintiffs as hopeless causes. A handful of cases remain active--including one in the Brooklyn courtroom of Judge Jack Weinstein, who`s helped the plaintiffs at every turn--but there`s no question the industry is in a much stronger position to defend itself today. Delay and Deny | In 1998, days after the Brady Act`s "waiting period" expired on schedule, Bill Clinton used his weekly radio address to announce that one of his "top priorities [would] be to pass legislation to require a minimum waiting period before a handgun sale becomes final." Top Clinton advisor Rahm Emanuel backed up his boss, claiming the waiting period "is very, very important." But a pro-Second Amendment Congress wisely rejected Clinton`s anti-gun legislative priorities and, let`s note, crime continued to go down. The bad news is that, unlike the waiting period, the Clinton team has not faded into the sunset. Hillary Clinton sits in the U.S. Senate while plotting a return to the White House, and Rahm Emanuel, now an anti-gun congressman from Illinois, chairs his party`s congressional campaign committee, working day and night to make F-rated Rep. Nancy Pelosi, D-Calif., the next Speaker of the House. Janet Reno`s top courtroom lawyer wrote that the Second Amendment doesn`t protect an individual right. John Ashcroft`s Justice Department took the opposite view. Privacy | In 1998, the Clinton administration--specifically, Janet Reno`s Justice Department--published the first proposed regulations on the National Instant Background Check System (NICS). Despite Congress` language in the Brady Act making clear that NICS couldn`t be used to create a national gun registration system, the Clinton-Reno regulations proposed keeping purchase records on law-abiding gun buyers for up to six months. Meanwhile, anti-gun plaintiffs` lawyers lined up to rake through confidential batf firearm trace records for evidence to support their conspiracy theories against the gun industry. batf itself released a steady flow of meaningless "trace studies" that provided grist for the anti-gun propaganda mill. 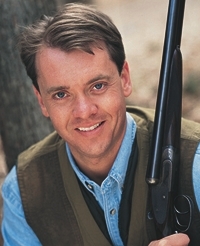 Rep. Todd Tiahrt, R-Kan., was one of the new U.S. representatives swept into office in the 1994 voter backlash against Clinton`s anti-gun schemes, particularly his semi-automatic firearm and magazine ban. Taxes | Chief Justice John Marshall famously declared, "The power to tax involves the power to destroy." In the `90s that, too, was part of the Clinton agenda. At a 1993 Senate hearing on the ill-fated Clinton health care plan, anti-gun Senator Bill Bradley, D-N.J., asked Hillary Clinton if Congress should impose a 25 percent sales tax on handguns to pay for health care. The First Lady replied, "Speaking personally, I`m all for that." In 2005, by contrast, President Bush signed a little-noticed amendment to federal law that exempts small custom gun makers from federal excise taxes on firearm manufacturing. This seemingly small provision reflected a decades-long effort by NRA and some of America`s finest craftsmen--who had faced extinction due to the government`s occasional efforts to collect years` worth of back payments of a tax that was never meant to apply to them. It also was a direct rejection of anti-gun plans to tax gun ownership out of existence. Taking the Initiative | We`ve been talking about 1998. But just a year after that, a horrific attack on a Colorado high school shocked America. And although the two killers violated a score of federal firearm laws, many in Congress--egged on by the Clinton White House--wanted to prescribe more of the same bad medicine. The Congress began a grueling, months-long debate over restrictions on our Second Amendment rights, including a plan to register gun show visitors and dealers, then regulate the shows themselves out of business. Senator Charles Schumer, D-N.Y., even wanted to ban online advertising of firearms.